KUANTAN: Majlis Amanah Rakyat (Mara) will open two new Digital Malls in Melaka and Johor by early next year, bringing the total number of outlets in the country to six. Rural and Regional Development Minister Datuk Seri Ismail Sabri Yaakob said the digital malls will be located at the Rural Transformation Centre (RTC) Sungai Rambai in Melaka and Larkin in Johor, respectively. “The ministry is in the midst of identifying more suitable locations in every state capital,” he said after launching the Mara’s fourth Digital Mall outlet in Plaza Gambut here today. Ismail said Mara hopes to open at least one Digital Mall outlet in all state capitals before opening expanding to every district in the country. “The Mara arcades usually promote rural and traditional products. Certain sections can be utilised to sell and repair ICT (information and communications technology) products. “This new concept can make Mara arcades more vibrant,” he added. The first three Mara Digital Malls are located in Menara Mara in Kuala Lumpur, Anggerik Mall in Shah Alam, and Bazaar Medan Jaya in Ipoh. Ismail Sabri also said there are plans to convert Anggerik Mall into an Urban Transformation Centre, following the drop in the number of visitors to the premises. His ministry, Ismail added, is prepared to work together with all state governments and agencies to locate proper locations for future Mara Digital Malls. Mara Digital Malls, and that he expects that number to grow with the opening of two new malls next year. 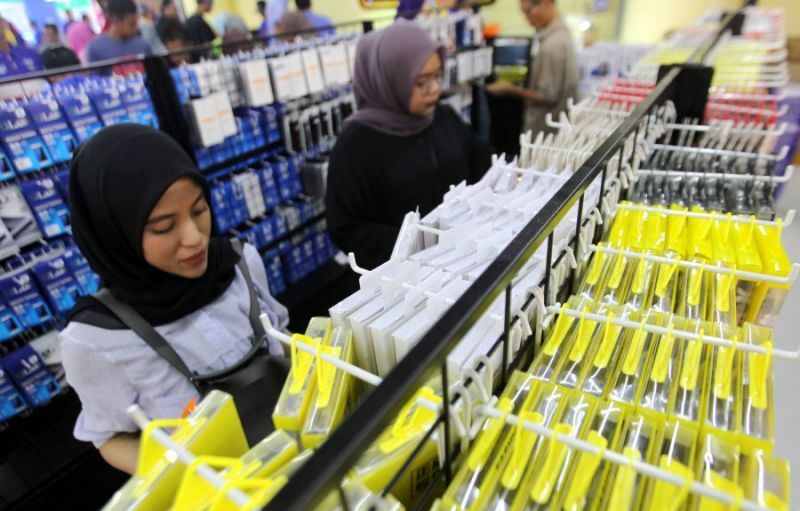 Ismail Sabri assured the public that the Mara Digital Malls only sold genuine ICT products. This entry was posted in Usahawan and tagged MARA DIGITAL. Bookmark the permalink.